Menlo Club is one of our sponsors and has provided us with this great deal. Our fans can get this great offer by using our Menlo Club Promo Code. When you use one of our promo codes you are directly supporting our podcast and site. Thanks for your support. Menlo Club is a men’s brand that provides men’s apparel that has been hand picked based on your style and the season. Every month a package will arrive with 2-3 items of the latest collection and season. You will also receive up to 50% off all items in their online shop and access to exclusive members only items. There is no minimum commitment and you can cancel at anytime by calling them or via their live chat. You also have the ability to pause your shipments if you need to. How does Menlo Club Work? You will choose you style first. Casual, Forward, Classic, or Mix. Then you select your color scheme. Top size is next. Followed by pant size. Then, you will choose your bottom fit from: slim, straight or relaxed. This is one of the easiest ways to have custom clothing shipped to you on a monthly basis without having to do anything after you set up the plan for the first time. 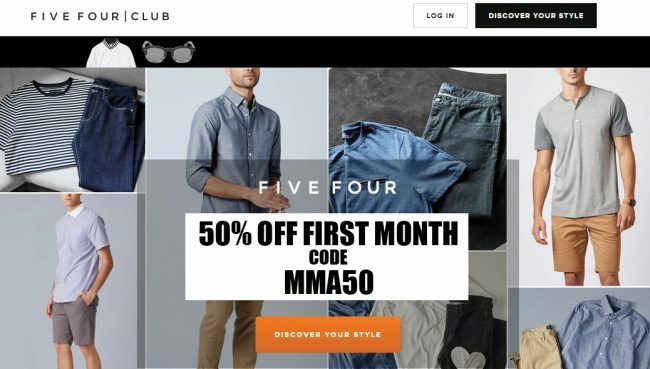 The monthly cost is $60, but is $30 if you use our Menlo Club Coupon MMA50 to save 50% off your first order. All pieces are yours to keep and you receive free shipping and size exchanges. 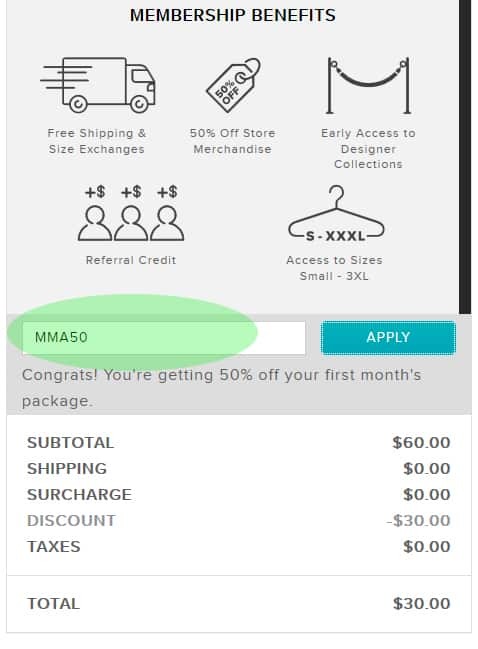 When you checkout, there will be a box on the lower right hand side of the screen marked “have a promo code.” Enter our Menlo Club Coupon MMA50 to get 50% off your first month.